CSI Regulatory Compliance serves as a trusted partner, simplifying compliance and risk management. 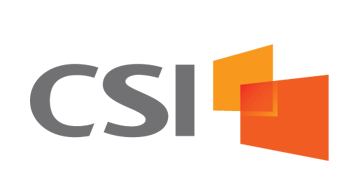 With more than 5,000 customers globally, CSI is an industry leader in software and services for regulatory compliance, homeland security and fraud prevention. Managing today’s complex regulatory requirements can be challenging for any business, and CSI backs a variety of industries including financial services, import/export, insurance, technology, Internet and retail. Through innovative technology and personal service, CSI provides a full range of compliance solutions for the requirements of GLBA, USA PATRIOT Act, OFAC, BIS, BSA, Regulation E and more.